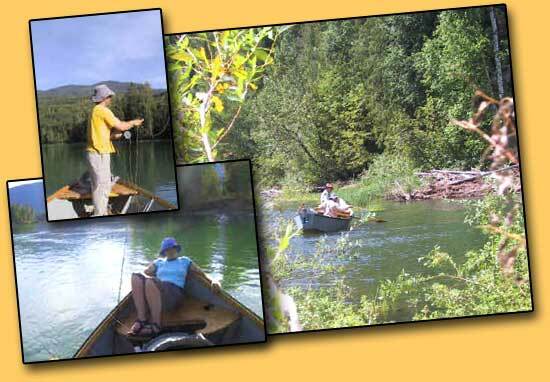 Silent Sport Fly Fishing offers a complete fly fishing experience for all ability levels. Our guides will provide you with an intimate knowledge of the rivers and lakes in the Clearwater area. The best way to fish the Rivers and Lakes in the area is by drift boat. Your guides will move you around the water quietly and get you close to the fish. We use wooden Mackenzie style drift boats which accommodate two anglers and a guide. We also offer walk and wade trips.